The Obama administration has ordered prosecutors to re-file charges against defendants in pending drug cases and will strip out any references to quantities that may trigger mandatory minimum sentencing laws. 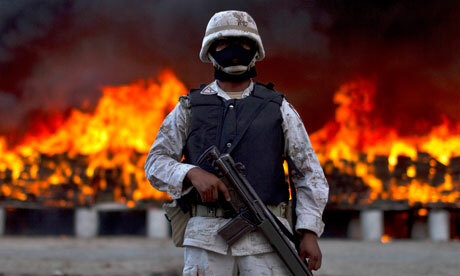 The new War on Drugs Policy applies to defendants who meet four criteria: their offense did not involve violence, the use of a weapon, or selling drugs to minors; they are not leaders of a criminal organization; and they have no significant ties to large-scale gangs or drug trafficking organizations, and have no significant criminal histories. Attorney General Eric H. Holder was quoted, “by reserving the most severe prison terms for serious, high-level, or violent drug traffickers or kingpins, we can better enhance public safety. We can increase our focus on proven strategies for deterrence and rehabilitation. And we can do so while making our expenditures smarter and more productive.” The difference is that the state changes needed to be approved by state legislatures; the Obama administration is moving without waiting to see whether Congress will approve the legislation. In cases where a defendant has been charged with a drug crime but guilt has not yet been determined, prosecutors will be directed to file replacement criminal complaints to eliminate references to specific quantities of drugs that would trigger a mandatory minimum sentence were the defendant to be convicted, according to a three page Justice Department memorandum from Mr. Holder to federal prosecutors. Holders’ memorandum states; that for cases in which a defendant has already been found guilty but no sentence has yet been imposed, prosecutors have discretion about whether to apply the new policy. They are “encouraged to apply the policy in guilty-plea cases where legally and practically feasible,” he wrote, but they should generally “not seek relief for a defendant” who chose to go to trial. The memo portrays an exercise of prosecutorial discretion and directs Justice Department officials to fight any motion by a convicted but not yet sentenced defendant to seek relief without the governments consent on the basis of the new policy. The wave of change comes as crime has plummeted to the lowest level in four decades, leading to a momentum against the tough-on-crime policies imposed a generation ago amid the crack cocaine epidemic. The policies resulted in an 80% increase in the number of prisoners in the United States at a time when the national population grew by only a third. Mr. Holder has repeatedly criticized the moral impact of the nation’s high incarceration rate, emphasizing that while the United States has only 5% of the world’s population, it has 25% of its prisoners. Though law enforcement officials could not point to an adequate increase in crime, all that activity made the federal government uneasy. It realized that tacitly allowing states to regulate medical marijuana had far-reaching consequences that it wasn’t entirely comfortable with. Operating in a grey market between the federal prohibition and untested state rules, dispensaries of all kinds operated without much supervision. Cities and towns, some with an eye toward economic opportunity and others to reduce community standards, begin filling in the blanks left by the broad state law with rules and ordinances governing the operation of dispensaries and growers. U.S. Attorneys’ enforcement actions haven’t been limited to notorious state lawbreakers. Indeed, they’ve sent letters to non-profit cooperatives warning that they could be prosecuted and their property seized. Marijuana advocates are largely skeptical of the Obama administration intentions, saying that its crackdown is motivated not by a desire to fight criminality, but by a fear that the medical marijuana industry was threatening its own authority. “They did not want to see a full blown state-by-state licensing system that would have legalized large-scale distribution of medical marijuana,” Kris Hermes of Americans for Safe Access says. Advocates also say that the federal government has no business using threats to prevent state and local officials from enforcing state laws around medical marijuana, even if the violate federal statutes. While the legal battles continue and appear never-ending, a local approach could prove more effective than the U.S. Attorneys’ heavy-handed enforcement when it comes to smoking out which weed shops are for profit or front for organized crime. For future efforts at the state and local level are unlikely to be successful if officials continue to be threatened with federal prosecution for trying to make their own laws work.